Thank you for your interest in our ever growing Trail Obstacle Challenge! 2019 will be our third year offering our trail challenge and every event we offer a new course pattern, new obstacles and our goal is to grow into an even bigger trail event. This page of our website is designed to answer questions and offer information about our course and how things work. Please check back regularly as we are often adding updates. Obstacles you could encounter can be, but are not limited to: bridges, opening and closing a gate, walking over poles of various heights. Plastic bottle pits, walking across tarts or other loud materials can be possible. Going up and down inclines and declines and/or through possible narrow walkways or tunnels. Carrying flags, flapping objects or awkward objects. Pivots or tight turns, side-passing and backing. Water obstacles are possible. ​We simply ask for neat attire, English or western. Riders may choose to ride in English or Western tack and attire, or breed specific gaited horse tack/attire. Neat and respectful is appreciated. Please, no sleeveless shirts unless permitted by the judge due to excessive heat. 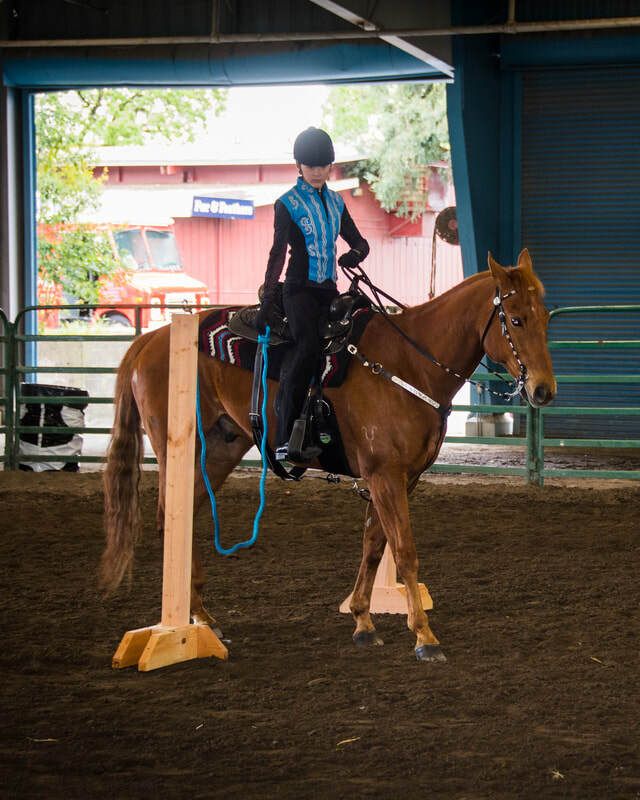 The Novice class is designed for horses and/or riders that are new to a trail challenge. The novice class will have less intricate obstacles and we ask for an honors system to this class - if you know you are an experienced obstacle rider, this is NOT the class for you. If you enter the novice class, you may also enter the beginner class but you may NOT enter the open trail challenge class. Once a horse/rider has earned 3 ribbons of ANY placing in a BAFTA novice trail class, you are no longer eligible for the Novice horse class. The beginner class is open to any novice rider, and any rider who qualifies as a beginner - a beginner horse/rider has limited trail obstacle experience but is capable of completing standard trail obstacles as listed. Once a horse/rider has won TWO blue ribbons and/or an Edition's Horse Show series Trail Course Beginner high point, they are no longer eligible for the beginner class. Horses/riders in the beginner class that is not entering the novice trail class CAN enter the open trail challenges if they choose. If you are NOT participating in the Novice class, you can enter the open classes. Trainers, experienced riders and/or horses are encouraged to enter the open trail challenge classes. Any rider who can SAFELY execute the trail challenge obstacles is welcome to enter the timed challenge - please be honest with you skill level and the skill level of your horse prior to entering - horses who are not at least minimally experienced are not advised to compete for time. ANY rider can enter the trail challenge championship - no specific placing in prior classes is required. Have a question about the trail challenge? Please send a request and this page will be updated ASAP to answer your question.